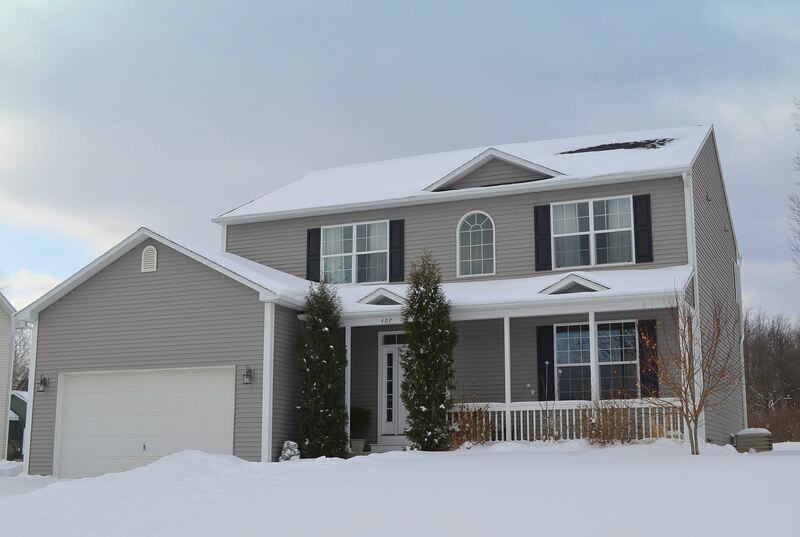 Fayetteville NY Home, Homewood Estates Neighborhood, 4 Bedroom - Contact Bob McTague at 315-882-6610 for more information about this home located in Fayetteville, New York. Fayetteville, NY Neighborhood -. This beautiful move in ready, 4 bedroom, 2.5 bath, quality built Colonial home is located in the popular "Homewood Estates" neighborhood, which is Fayetteville's best kept secret and centrally located to schools, parks, shopping, and minutes from major highways. First Floor Features - The first floor features hardwood floors throughout the living, dining, kitchen, and foyer. Entertain in the eat-in kitchen that features granite counters, a gourmet island, stainless steel appliances, and a large pantry. Relax in the spacious family room that offers plenty of natural light and a gas fireplace. Gather in the large formal living and dining room. The first floor also provides a half bath for guests. Second Floor Features - The second floor offers a large master bedroom and master bath equipped with a jacuzzi style soaking tub, a dual sink vanity for those busy mornings, and a stand up shower. There are 3 other good sized bedrooms, all with exceptional closet space, and another full bath, and a convenient laundry room. Exterior - The exterior features a front porch for enjoying the quiet neighborhood, a 2 car garage which is large enough for 2 cars and a jet ski, professional landscaping, and a deck overlooking a private yet open backyard.